Card Affairs is a brand that does funny one-liners on cards, motivational quotes on mugs and planners, badges with colourful designs and other stationery and gifting items. It's pretty much matter-of-fact that quotes and one liners grab attention in an instant regardless of what they're on–cards, mugs, notebooks, you name it (you know you have that tee with a quote on it; everybody does). Card Affairs knows how to do quotes right and they know it well. Their forte is, as their name suggests, cards–they've got different categories like birthday cards, generic ones, and naughty cards (these one's are just for bae). For stationery, their planners and notebooks look like they'll be perfect additions to any bookshelf or study table–hustle hard with their weekly planners with motivational quotes or keep it light with fun one liners. If you're a caffeine addict (as most of us are), their collection of mugs with quotes and pictures will make your morning cuppa a bit more interesting. They've also got badges, passport covers, frames and more. Some of the products are a bit repetitive and have quotes we've all seen in abundance already. 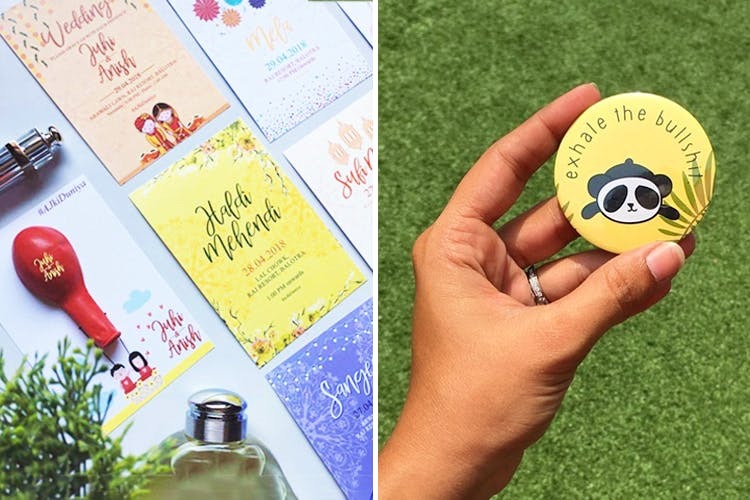 They do customised products upon request, so contact them if you're looking for that apt gift for your friends–or just for yourself!